Washington is willing to discuss “many actions” to improve ties and entice Pyongyang to give up nuclear weapons, the US special envoy for North Korea said on Thursday, but set out an extensive list of demands for the North, including a full disclosure of its weapons programme. “From our side, we are prepared to discuss many actions that could help build trust between our two countries and advance further progress in parallel on the Singapore summit objectives of transforming relations, establishing a permanent peace regime on the peninsula, and complete denuclearisation,” he said. Biegun’s comment referred to the unprecedented meeting last June between North Korean leader Kim Jong Un and US President Donald Trump in the wealthy Asian city-state. North Korea has complained that the United States has done little to reciprocate for its actions so far to dismantle some weapons facilities and freeze its weapons testing. It has repeatedly urged a lifting of punishing US-led sanctions and also a formal end to the war, as well as security guarantees. Pyongyang has rejected making an itemised declaration of its weapons programmes for decades. Biegun said Kim committed, during an October visit by US Secretary of State Mike Pompeo, to the dismantling and destruction of plutonium and uranium enrichment facilities. Last June’s Singapore summit produced a vague commitment by Kim to work toward the denuclearisation of the Korean peninsula, where US troops have been stationed in the South since the 1950-53 Korean War. Still, Pyongyang has yet to take concrete steps in that direction, in Washington’s view, and the director of US national intelligence, Dan Coats, told Congress on Tuesday it was unlikely to give up all its nuclear weapons and has continued activity inconsistent with pledges to denuclearise. Biegun admitted that the United States and North Korea did not have an agreed definition of denuclearisation, but was blunt about US expectations and said Trump had made clear he expected “significant and verifiable progress on denuclearisation” to emerge from the next summit. “Before the process of denuclearisation can be final, we must have a complete understanding of the full extent of the North Korean WMD and missile programmes through a comprehensive declaration,” Biegun said in his speech. 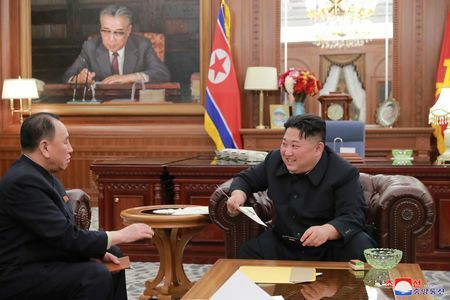 He pledged that once North Korea was denuclearised the United States was prepared to explore with it, and other countries, the best way to mobilise investment there.